Advanced surface protection for all glass, interior and exterior. 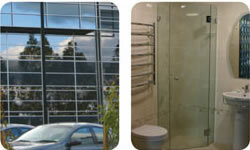 Glass Coating for indoor and outdoor glass. NanoCoat Clear is an invisible glass coating that protects all types of glass. It provides a water repellent, non-stick barrier which prevents glass damage from scale, salt, scum, air pollutants, and other foreign material. The non-stick protective coating minimises dirt and grime build up on the glass, so glass requires much less maintenance. No scraping scrubbing or harsh chemical cleaners are needed to clean the glass. 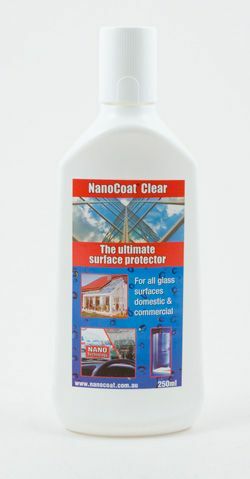 The NanoCoat Clear protective coating is chemically bonded to the glass, so will not rub off. This glass protection product does not change the appearance or clarity of the glass and is not affected by long term exposure to heat or UV light. Tiles, bath tubs, basins and toilets.